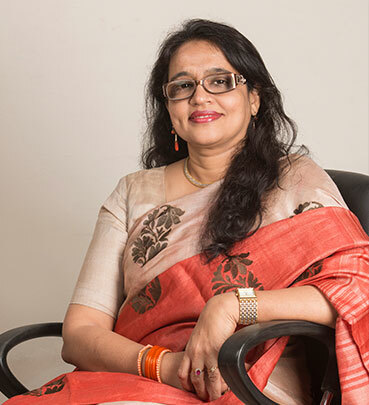 Rashida Adenwala has an experience of over 25 years in the field of Corporate Law. She is renowned for her innovative thinking and professional approach. She heads the fund raising practice for R & A’s clients both in domestic and international markets including, Private equity, Public Offerings through IPO’s, GDR’s, FCCB’s & QIP’s. She has extensive experience and expertise in preparation of Business Plans, Indian and Overseas Listings, Legal Due Diligence, Shareholder’s Transaction Documents, Cross Border Transactions involving multiple countries and jurisdictions, and Corporate Governance. She is a professional director on the Board of DQ Entertainment Limited (DQE) and has travelled extensively in India and overseas on various professional engagements. She was associated with various corporate houses in Mumbai and in Hyderabad before starting the firm. She is a regular speaker at various conferences and training programs conducted by the Institute of Company Secretaries of India (ICSI), FTAAPCI, ICAI. She was a member of the Secretarial Standards Board constituted by ICSI for the years 2006 and 2008. She is a certified trainer on Corporate Governance from the Global Corporate Governance Forum, an initiative of the International Financial Corporation. She is a Fellow member of the Institute of Company Secretaries of India, Bachelor of Law and Bachelor of Commerce. She was recently conferred with the Proficiency award by IPA Society of Education for her contribution to the Company Secretaries fraternity. She was also adjudged the best Women Entrepreneur in the field of Corporate Law by the Confederation of Women Entrepreneurs of India.